Tag-Archive for "Bacardi 8 Year Old"
What better way to finish the year than with a bang and with no bigger brand in Rum, it’s fair to say that the Notting Hill Rum Club is ending 2011 in style. Monday 5th December will find Trailer Happiness playing host to Bacardi and the UK Bacardi Brand Ambassador, Shervene Shahbazkhani. Starting at 7pm, the evening will be a mix of Cuban history, rum production and the role of Bacardi in both, along with the opportunity to try some of the best that Bacardi has to offer. From the available everywhere Bacardi Superior and its older sibling, the Bacardi 8 Year Old to the limited production Bacardi 1909 Superior Heritage Edition. In addition, Shervene will also be bringing along several Bacardi rums that aren’t easily available in the UK, including Bacardi Solera, Bacardi Reserva Limitada and the Havana Club Brand by Bacardi, which you’ll generally only find in Miami. Those lucky enough to attend will also get the chance to explore the process of making Bacardi Superior, with samples from 8 different stages of production, from distillation to bottling. All in all, I think that this is going to be a great night and I’m just disappointed that I won’t be able to be there. However, anyone with an interest in good rum and its heritage really should attend and if you’ve never been along before, I can’t think of a better evening to start with. 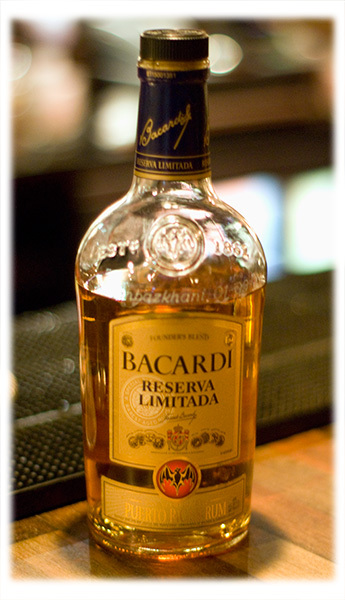 Further details on next month’s tasting can be found on the Bacardi @ The Rum Club Facebook page. For those interested in learning more about the London Rum Club, please either visit the Rum Club website or pop into Trailer Happiness and speak to the bar staff.